To reach every corner in the world. 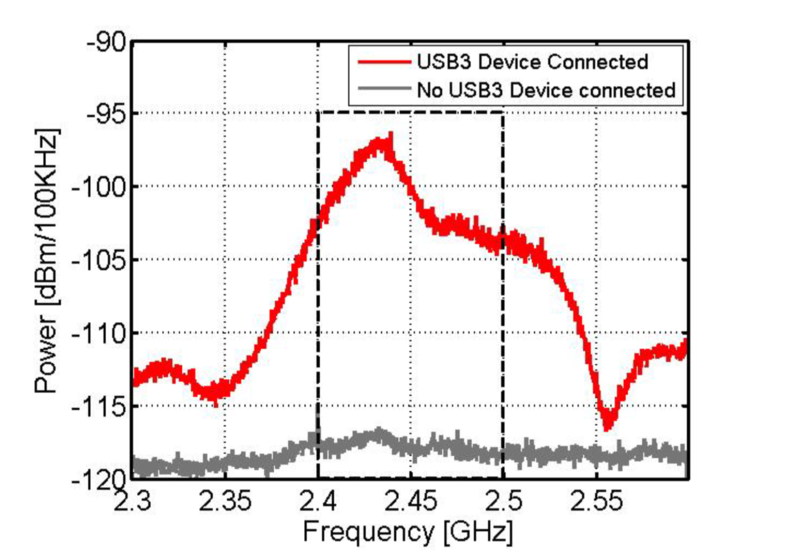 As previously shown in Figure 2-2, the noise from USB 3.0 data spectrum can be high (in the 2.4–2.5 GHz range). 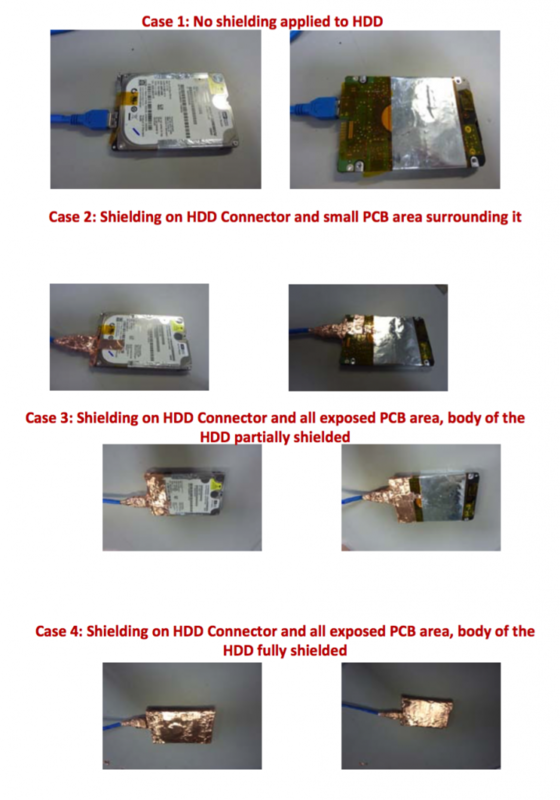 This noise can radiate from the USB 3.0 connector on a PC platform, the USB 3.0 connector on the peripheral device or the USB 3.0 cable. 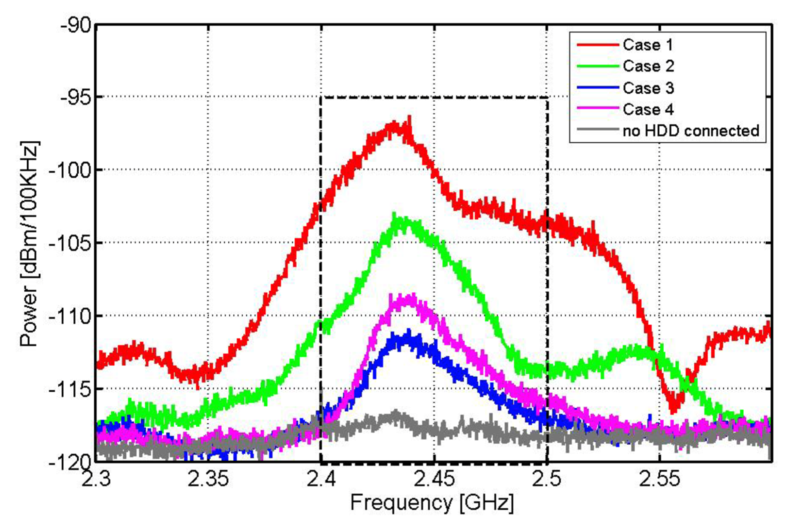 If the antenna of a wireless device operating in this band is placed close to any of the above USB 3.0 radiation channels, it can pick up the broadband noise. The broadband noise emitted from a USB 3.0 device can affect the SNR and limit the sensitivity of any wireless receiver whose antenna is physically located close to the USB 3.0 device. This may result in a drop in throughput on the wireless link.